As the sesame seeds heat up, their delicate aroma dramatically changes into a dark, toasty fragrance that hovers above the pan. 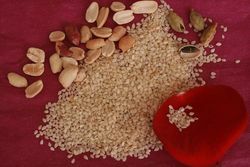 This simple transformation is delightful, but becomes even more special when, after mixed with ground cardamom and peanuts, sesame seeds hit a pan of melted sugar. 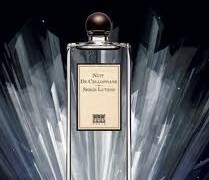 At this point, it is a fragrance of such richness and opulence that I want to bottle it and wear it as perfume: dark caramel, spicy and nutty notes blend into a beautiful harmony. What I am making is til gul ladoo, a sesame cardamom candy popular in the western Indian states of Maharashtra and Gujarat. January 14th in India marks the transition of the Sun into Capricorn and the return of the sun to the Northern hemisphere and is celebrated by the Makar Sankranti festival (Makara refers to Capricorn.) Its celebrations range in terms of importance for different parts of India, but in the western states, it is a festival of particular significance. It is seen as the beginning of a new, very auspicious period, and an atmosphere of fun and festivity marks the delight with which this season is greeted. In Gujarat, the sky bursts into bright colors, as the kite running begins. In the days leading up to the 14th, children and adults are busy fashioning their showpieces and gluing powdered glass on the strings to cut down other kites in a grand and fiercely competitive show. 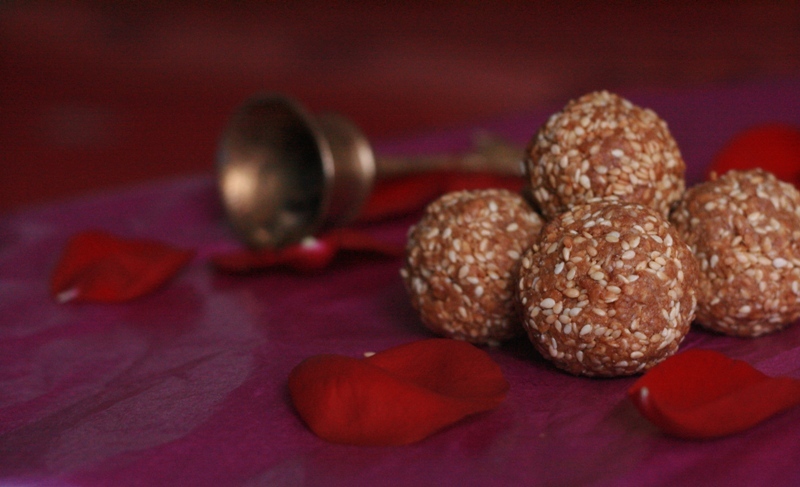 The sesame candy, til gul (til means sesame and gul means jaggery, palm sugar in Hindi and Marathi) is an integral part of the celebrations. As people visit their friends and family, they share til gul, saying, “Tilgul ghya, god god bola,” which means “Eat tilgul and speak sweet words,” forget past differences and start afresh. It is impossible not to talk sweet words when eating this fragrant sesame candy, which belongs to the praline family, confections made from nuts and sugar syrup. Its rich sesame flavor makes it reminiscent of tahini halwah, although given the sugar-nuts ratio, til gul is not as sweet. A bright accent of cardamom lends it a very distinctive and memorable accent with a lingering citrusy aftertaste. 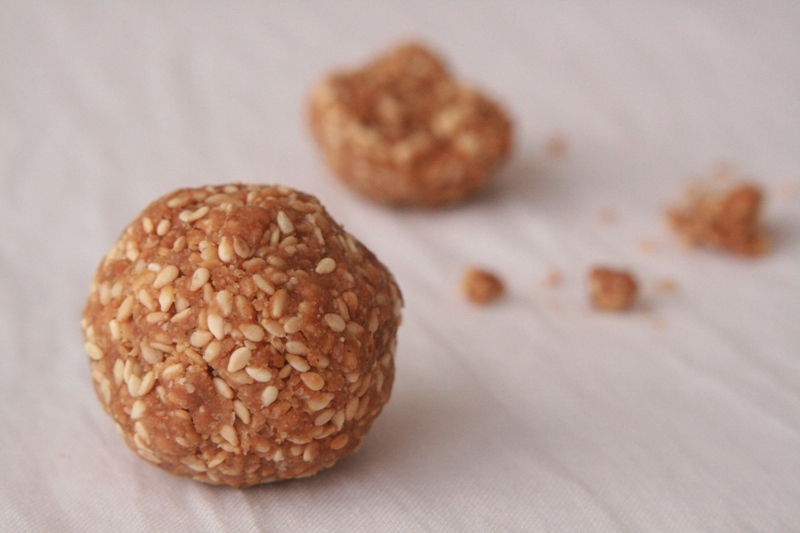 Its texture is a cross between the melting decadence of halwah and the crunch of sesame brittle. All in all, quite irresistible! There are many different recipes for til gul, and some variations include raisins, dried coconut and whole peanuts instead of ground. Some recipes call for rose water or nutmeg instead of cardamom. I am partial to the simple cardamom flavored version below, which I learned in India, but if you feel like experimenting, add 1 Tbsp peanuts and 1 Tbsp dried coconut flakes to the recipe below (insted of 2 Tbsp peanuts). Or use 2 tsp of rosewater or 1/8 tsp nutmeg instead of cardamom. When made with unrefined sugar ( jaggery), its floral-caramel character is even more complex; although, I have made til gul with light brown sugar and ended up very pleased with the results. The recipe is not complicated, but it is important not to overcook the sugar or else shaping will be difficult. Please note that working with sugar syrup requires caution (I wear rubber gloves,) since the mixture needs to be hot for shaping. Therefore, if you are making the candies for the first time, try my very easy alternative shaping method. I will promise you though that whatever the shape, the taste of your candies will be delicious. Roast the sesame seeds in a dry skillet till they turn a couple shades darker. It takes only 4-5 minutes. Remove from the pan and cool down. Grind half the sesame seeds and then mix with the remaining whole seeds and also the ground peanuts and ground cardamom. Now the next stage happens very fast. Put on your rubber gloves if you are planning to shape the mixture by hand, and set everything close to the stove. In a heavy pan, melt the jaggery on low heat while constantly stirring. Once it melts, add water carefully. The mixture will bubble up vigorously; it will seize up and then melt again. The sugar will need to be cooked till soft ball stage. To test, take a cup of water and drop a little syrup in it. If it does not dissolve in the water, it is ready. If you have a candy thermometer, the sugar is ready at 235° F–240° F /118° C–120° C. Then add ghee, mix it in and turn off the heat. Immediately add the spice and sesame seed mixture and mix it in well. The mixture will not be of pourable consistency, but it will be sticky. Put a little ghee on your fingers and start rolling the candies. Since the mixture is workable only when it is warm, I spoon out little scoops of the mixture on a plate, given them a rough shape and then return to roll them into balls once all of the mixture is used up. If the mixture cools down too much and hardens, then add a spoonful of water and warm up on low heat. Alternatively, spread the hot mixture on a buttered cookie sheet and cut right away into lozenges or little diamonds. Jaggery—unrefined cane or palm sugar. 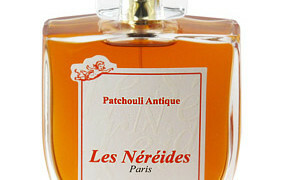 It is less sweet per weight than white sugar and has a great complexity, ranging from orange blossom flavors to caramel. Light brown sugar or any other unrefined sugar can be used as a substitute. Ghee–also known as clarified butter, is made by simmering butter on low heat until the milk solids have settled to the bottom and the water has evaporated. The resulting liquid is then strained. The browned milk solids are delicious used in mashed potatoes or in lentil soups. The golden butter fat lasts for a very long time even without refrigeration, provided that it has been clarified properly and all of the moisture is kept out. I usually make ghee in large batches and store it in the fridge. Its caramel flavor is addictive. Violaine: oh thank you for sharing this festive atmosphere with us, colored and windy ! I tasted once these exquisite delicacies in Vancouver at a festival around Stanley Park, I was conquered 🙂 I am seduced and very much drawn to Indian culture for its incredible cultivated and refined human relationship to peace, acceptance & forgiveness. Victoria: Thank you for your nice words! I love pralines in general, from simple almond to something like this. The scent that hovers about when I make it is probably the best reason to try it. Victoria: Violaine, you know, the interesting thing is that Jan 14th is also the first day of the new year according to the Julian calendar (still used by the Russian and other Eastern churches.) Something I thought was interesting.